Little girl. The little girl with a balloon. Raster illustration. Description: Little girl. 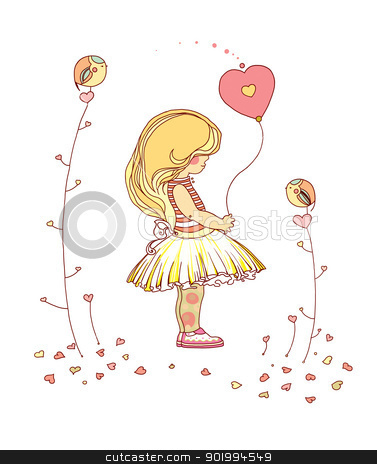 The little girl with a balloon. Raster illustration.